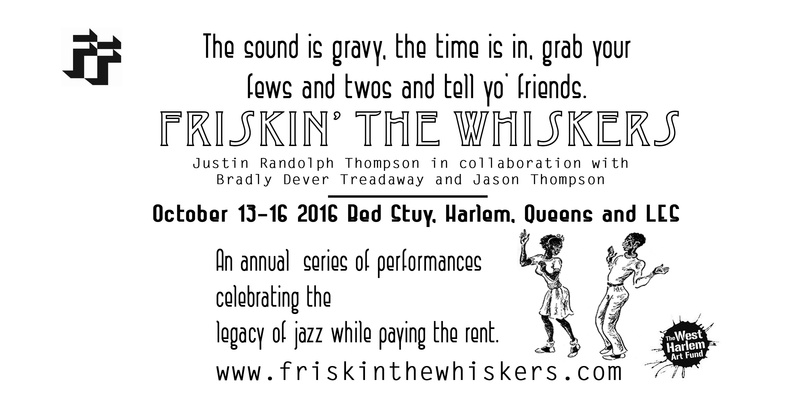 Friskin' the Whiskers is an annual project celebrating the legacy of jazz while helping to pay the rent. For more info click here. Friskin' the Whiskers from Bradly Dever Treadaway on Vimeo. Friskin’ the Whiskers is made possible, in part, by the Franklin Furnace Fund supported by The SHS Foundation, public funds from the New York City Department of Cultural Affairs in partnership with the City Council, and general operating support from the New York State Council on the Arts.